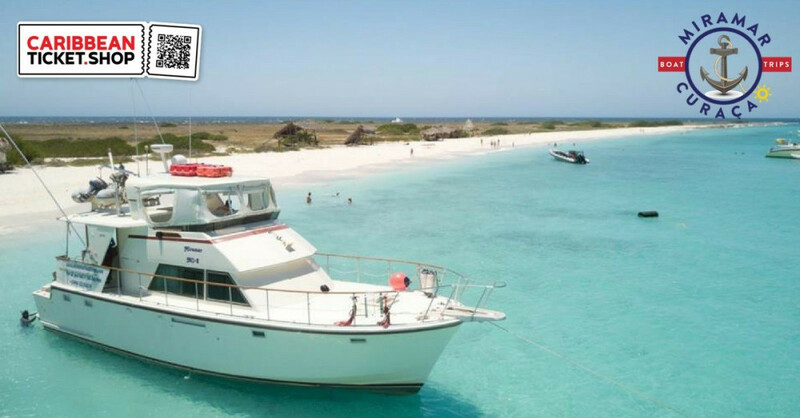 Miramar Boat Trips Curaçao is your private boat charter on Curacao. We focus on entertaining private groups of people to guarantee outstanding service. We host birthday celebrations, family gatherings, boat parties or get-togethers with friends. The Miramar is fully air-conditioned and features 6 sleeping accommodations, 2 showers, 2 toilets and a kitchen. On our front deck you can even enjoy a massage! Are you looking for a comfortable, flexible boat charter? You have found it, at Miramar Boattrips! Flexibility: You decide when you would like to depart and when you would like to return. No fixed dates, no fixed hours, everything is up to you! Privacy: You only share the boat with the people that you want to be with. On top of this, you are guaranteed of personal service that is tailored to your needs. Miramar Boat trips comes right from our hearts: we love sailing and we love to share that, with you! No other private charter company will make you feel so at home on a boat. Charter the Miramar with max 17 persons and have a perfect day on the water. Prices are per hour. All tours and excursions can be booked with supplementary catering services (for the Spanish Water charter catering is already included). This includes soft drinks, water, breakfast in the morning, a barbecue in the afternoon and late afternoon fruit snacks. The total price for this is NAF 55 / $ 32 per person. Alcoholic drinks are not included but may be taken on board or can be provided on request. To redeem, contact the organization and make your appointment. Staff speaks English, Spanish, Papiamentu, German, French and Dutch on board. The focus on private groups is deliberate and adds a personal touch to your trip.